Often times the most classic and timeless designs turn into our favorites! 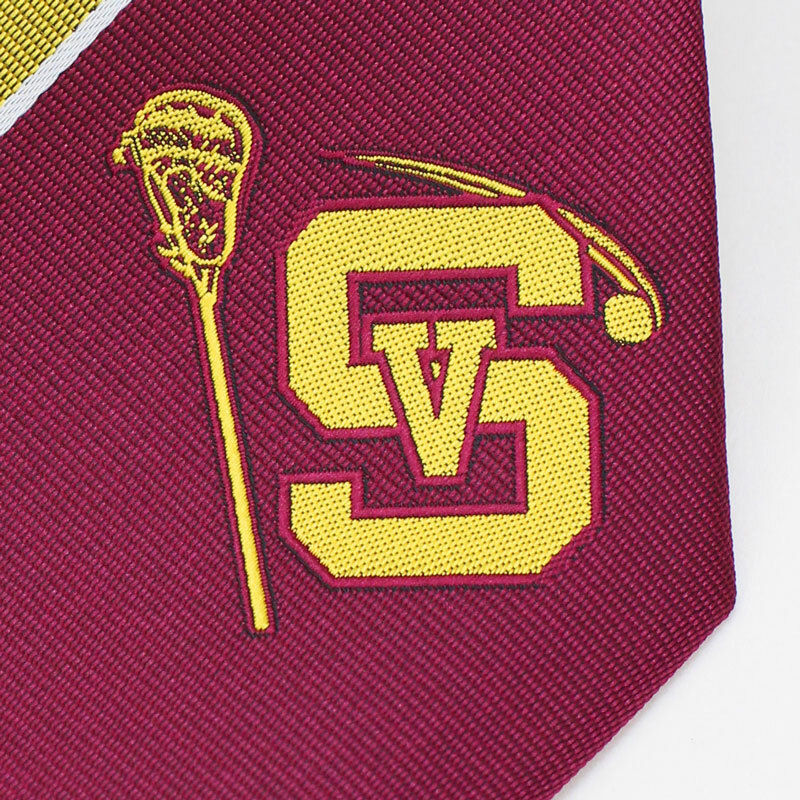 That is certainly the case with this tie we custom made for a Lacrosse Team in Souther California. The client gave us a lot of design freedom as long as the design is traditional and is using their signature antique gold and maroon red palette. To create the traditional feel our designers took a British regimental stripe design, added the client colors, and specced a detailed logo embroidery at the tip of the tie. To go along with the preppy look & feel of this tie the client also opted for nothing but the finest silk. 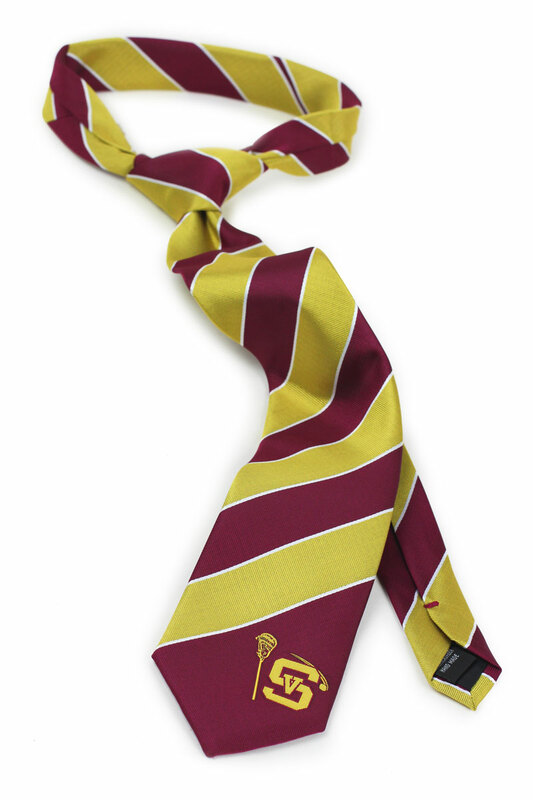 Below are some detailed photos of the tie and the embroidery. 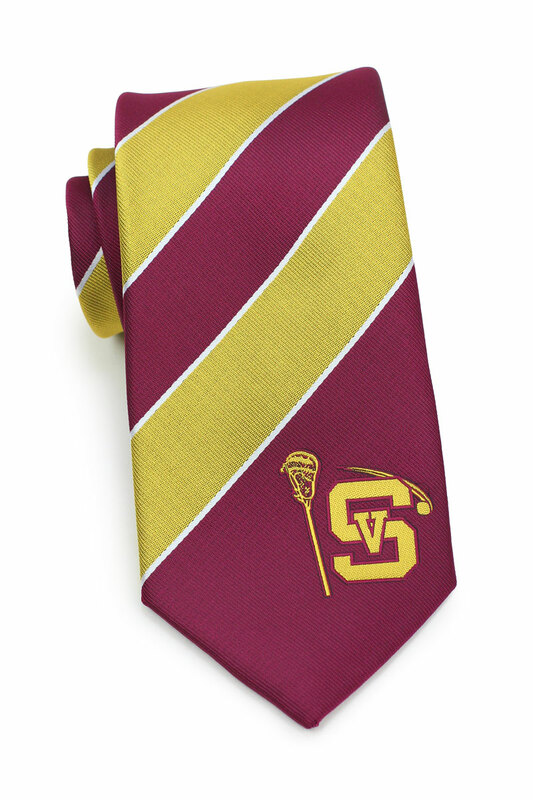 Looking to have a custom tie made? Then we can create any design, color combination, and work with any fabric. Even creating a private label tag on the back of the tie is not a problem. Contact us and we will gladly assist with the design at no additional cost.